There’s nothing more satisfying than a delicious sandwich. In honour of National Sandwich Day today, November 3, we decided to round up the best sammie from every state, be it a beloved local delicacy or part of the state’s history. From a classic grilled cheese to something called a “horseshoe,” these are the 50 best sandwiches across America. 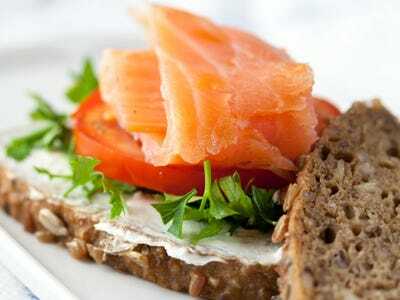 ALASKA: Dive into a wild Alaskan salmon sandwich with all the extras. This fish is said to be the freshest, pinkest salmon around. 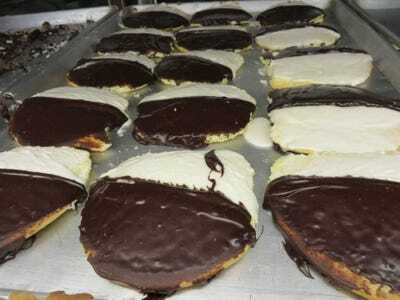 ARIZONA: Frybread tacos -- also known as a 'Navajo' or 'Indian' tacos -- are extremely popular in this state. 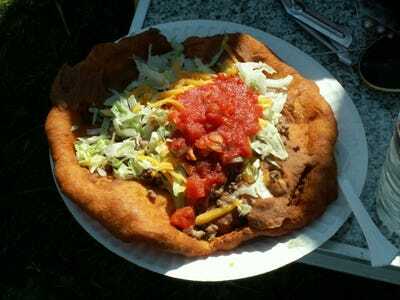 The fried dough is topped with traditional taco fillings like meat, beans, and cheese. 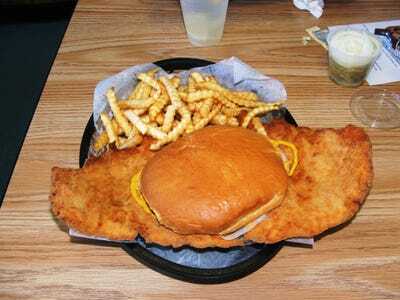 ARKANSAS: Chow down on a piece of deep-fried catfish, caught locally and tucked between two buttered buns. It's best paired with a side of fries and slaw. 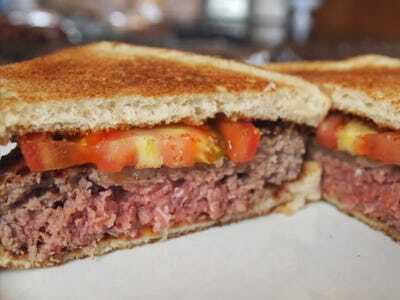 CONNECTICUT: This state is known for its non-traditional hamburgers, which are served on white toast with a choice of onion, tomato, or cheese, but no condiments. Try one at Louis' Lunch in New Haven. 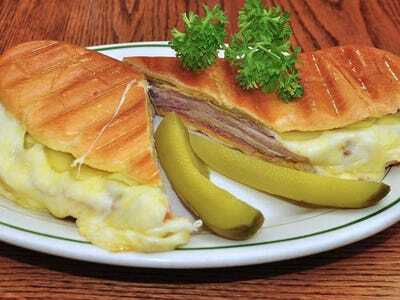 FLORIDA: The sunshine state is known for its Cuban sandwich with generous portions of ham, roasted pork, Swiss cheese, pickles, and mustard, all on two slices of Cuban bread. INDIANA: Indiana claims to have the best pork tenderloin in the nation. Put it to the test by tasting a Hoosier sandwich, or a breaded tenderloin on bread. Purists insist on trying it with only a few dill pickles and some mustard. IOWA: This state is home to the tavern or 'loose meat' sandwich. 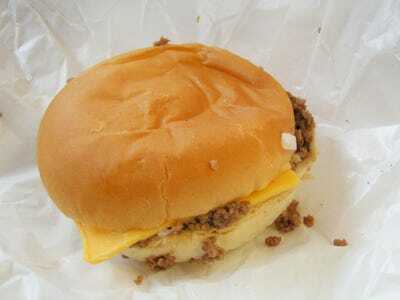 It's made with un-seasoned ground beef, sauteed onions, and sometimes topped with pickles, ketchup or mustard on a bun. 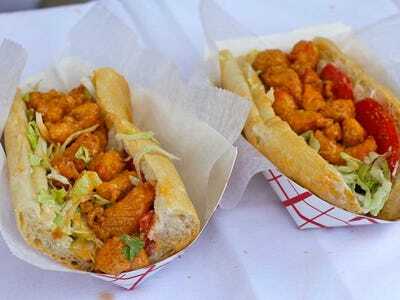 LOUISIANA: The po' boy sandwich is one of Louisiana's most iconic eats. The classic sub is made with French bread, roast beef ,or fried seafood. A 'dressed' po' boy has lettuce, tomato, pickles, and mayonnaise with optional onions and hot or regular mustard. 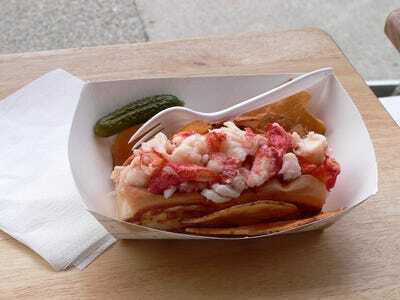 MAINE: What else would you order in Maine but a classic lobster roll? Served on a lightly grilled bun and filled with steamed and buttered lobster, these sandwiches taste like summer. MISSOURI: Feast on Missouri's famous Gerber, an open-faced sandwich with French bread, garlic butter, ham, Provolone, and paprika, and then perfectly toasted. MONTANA: Montana is known for its huckleberries, which grow in the wild during the summer and fall seasons. Try its famous huckleberry jam for a delicious PB&J. 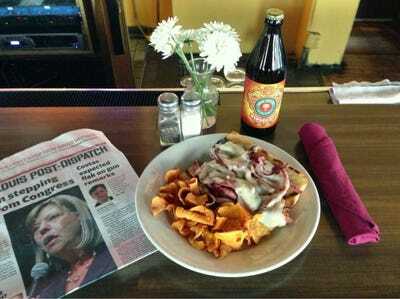 NEBRASKA: The classic Reuben sandwich was supposedly invented by an Omaha grocer. 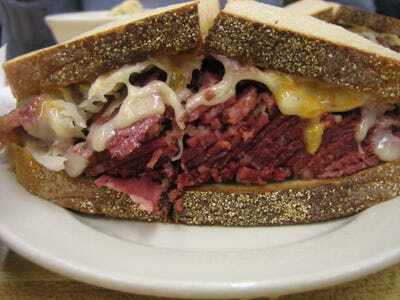 It's made with corned beef, sauerkraut, Swiss cheese, and thousand island dressing, and is best served on rye bread. 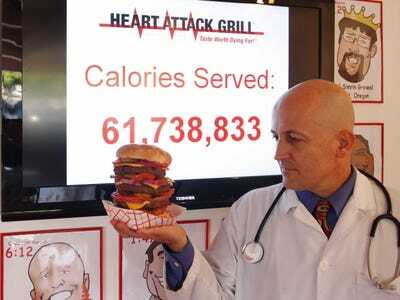 NEVADA: Las Vegas's Heart Attack Grill is periodically in the news for its calorific burgers. Some variations contain five burger patties with bacon and, of course, a side of fries. 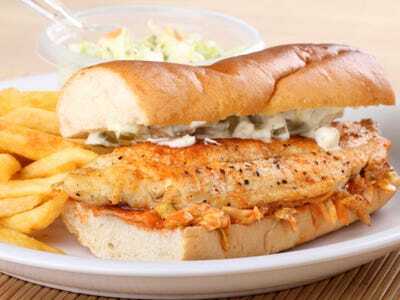 OHIO: Not to be confused with Louisiana's po' boy, Ohio's Polish boy is a sausage sandwich native to Cleveland. 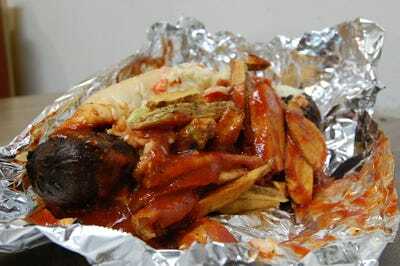 It has a link of kielbasa covered with a layer of french fries, barbecue or hot sauce, and coleslaw, all on a bun. RHODE ISLAND: This tiny state is home to a very big sandwich. 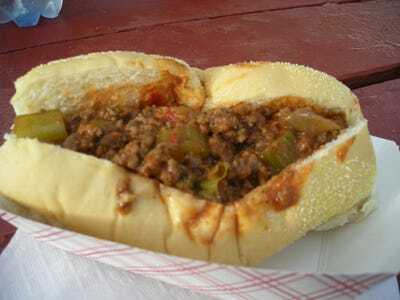 The Dynamite, which hails from Woonsocket, is a sloppy joe burger made with onions, bell peppers, and celery. Be careful -- it is spicy. 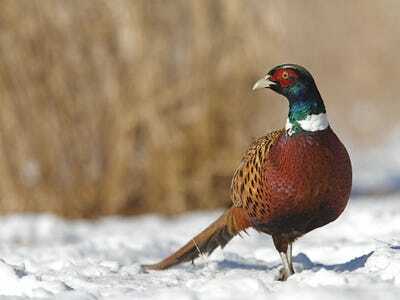 SOUTH DAKOTA: Hunters flock to South Dakota for pheasant hunting during the fall. Served to troops during WWII, try the state's pheasant sandwich made with chopped pheasant, eggs, onions, celery, and mayonnaise. 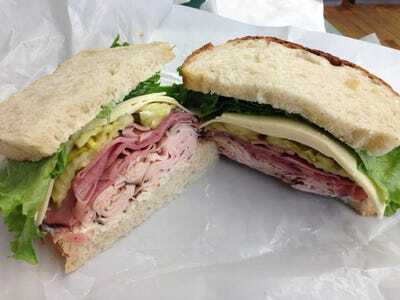 VERMONT: The 'Vermonter' takes advantage of its state's freshest ingredients, like turkey, ham, Vermont cheddar cheese, green apples, and honey mustard. The U.S. doesn't just love sandwiches.